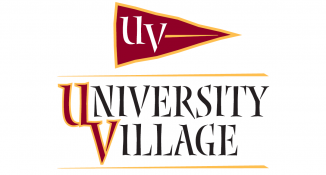 Welcome to University Village! Our online application process allows you to review our Statement of Rental Policy, submit an Application, and make a pre-lease deposit that will hold a bedroom space, a bedroom or apartment for you. All applicants must read, and consent to, the screening and background check set forth in the Statement of Rental Policy before an application will be accepted and processed. No bedroom or apartment will be held without the submission of a pre-lease deposit and your completion of the Pre-Lease Deposit Agreement at the end of this site. Before applications are processed, or any bedroom or apartment is held, University Village must receive your online payment. A separate site will allow you to submit online payment. Remember payment of application fee must be received before applications are processed and payment of pre-lease deposit received before any space is held. If University Village determines it is overbooked, bedroom and unit requests will be honored and filled based on the earlier date of a unit request and pre-lease deposit agreement. In this case, Applicants will be notified and given the option of having any pre-lease deposit returned or remaining on a waiting list. By clicking below that you have read and agreed to the policy and background check, want to submit an application, and are making your pre-lease deposit, you are taking your first step to a home at University Village. To start your application, create an account. This will save your progress and enable you to come back anytime to check on the status of your application. There is a $39 non-refundable application fee needed to process your application. This can be paid by check, money order, or online at www.paylease.com (enter 2515 University Ave SE, select University Village). To reserve a room, the pre-lease deposit will also be required. INTERNATIONAL STUDENTS: You will need to submit an I-20 form and provide your current Visa and Passport to the leasing office. 3 Months advanced payment will also be required at time of move-in.